When you set out to buy a new home, you do plenty of research. You make lists, think about your needs, consider your options, and explore different areas of town. When you buy a horse property, there might be even more questions to consider. 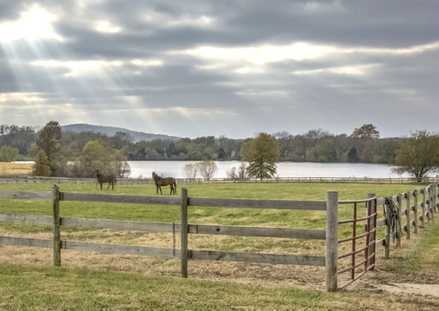 If you’re considering purchasing a horse property in the Kansas City area, you’ve probably thought about many factors already, but it never hurts to take a look at a list of ideas to prompt you. I put together a quick list of questions — You may ask these questions of yourself, your family, your agent, and anyone whose opinion you trust. How do my long-term plans relate to the property I purchase? How important is the location to me? Are there certain areas that are off-limits, or others that are more attractive to me? What is the most appropriate budget for my horse property purchase? What are my short-term goals and plans? How will this home, barn, and property help me achieve those? What areas am I willing to sacrifice? What are the most important factors when I’m looking at properties? What are the rules and regulations in place in a certain area? What is the water supply at each potential horse property? Could we resell this property if and when we are ready to? Who can provide the best services (building and maintaining fencing, grading, irrigation systems, barns, etc.) after I purchase the property? Has this list sparked some ideas about your own search? I’d love to hear your thoughts and questions. I’m more than happy to do some research and help you answer all the important questions as you approach this exciting decision! Contact The Dana Benjamin Team for your next horse property or call Dana today at 913-522-4077.